Overcoming these challenges requires that organizations across the financial sector adopt business strategies and technologies that enable greater agility, speed, access and organization. 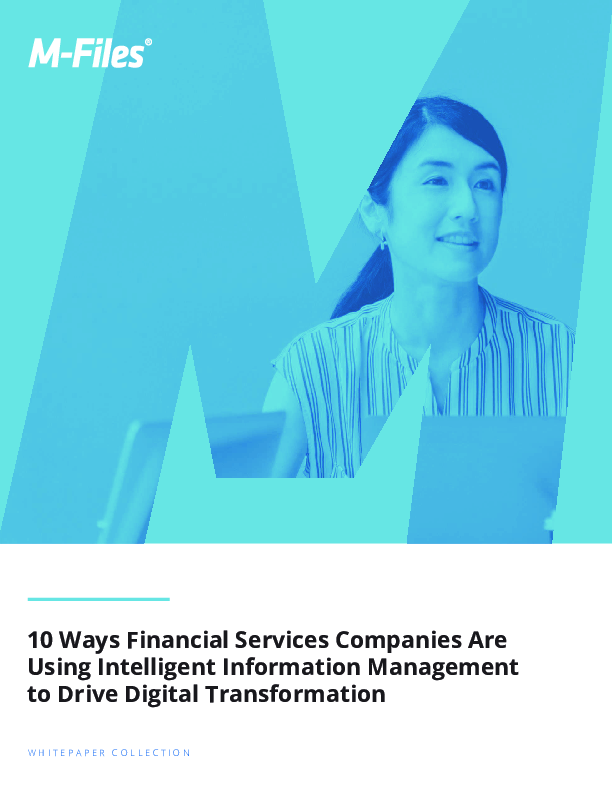 Intelligent information management (IIM) solutions are already playing a vital role in addressing all these needs while also supporting legacy technology investments. On the following pages, we explain ten ways IIM gives banks and financial services companies a competitive edge.